Hello old friends and welcome new friends! 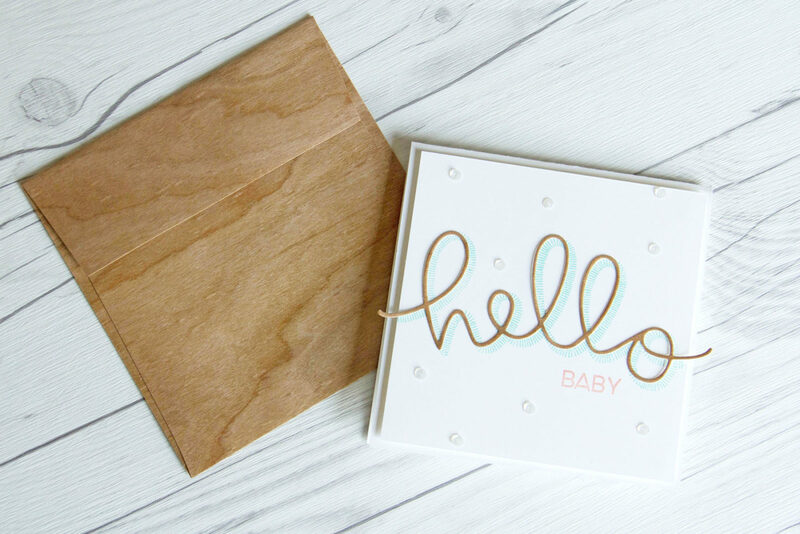 Today, we’re super excited to share a special post combining our woodgrain papers with Concord & 9th. Et Cetera Papers is all about versatility, inspiration and bringing you unusually good products. People constantly tell us how they’re having so much fun creating their own special masterpieces using our real wood paper. It’s our pleasure to bring inspiration and help contribute to the creative process by providing great products to all makers. Are you familiar with Concord & 9th? 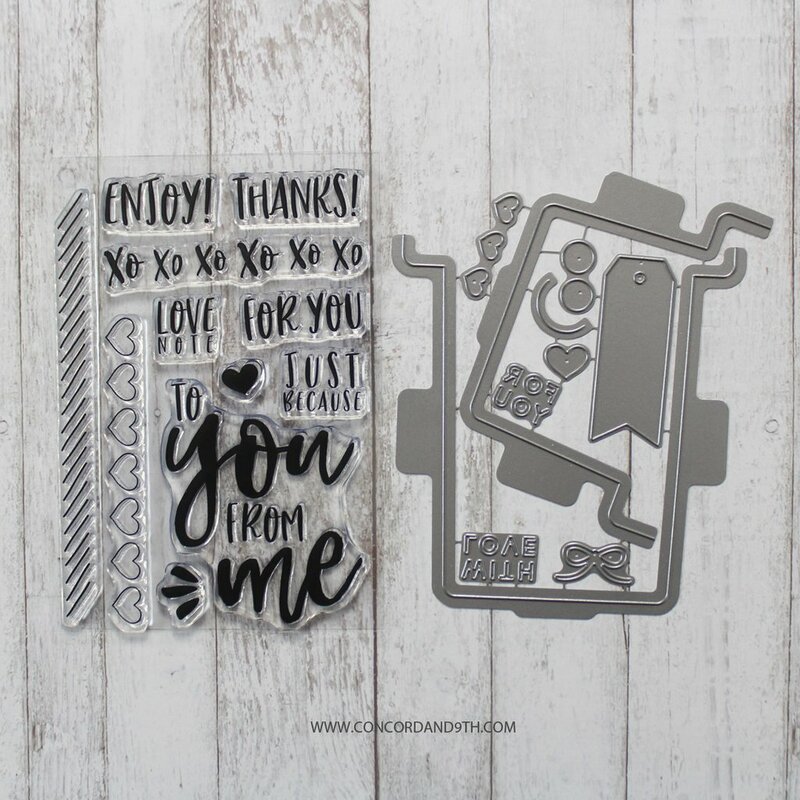 They are an awesome stamp and die company that release amazing new products on the 9th of every month, along with project samples and video tutorials. Their products are high-quality, innovative and really inspire creativity. Check out the Concord & 9th Blog and be ready to be inspired! We got the opportunity to play around with a few of Concord & 9th’s latest releases. 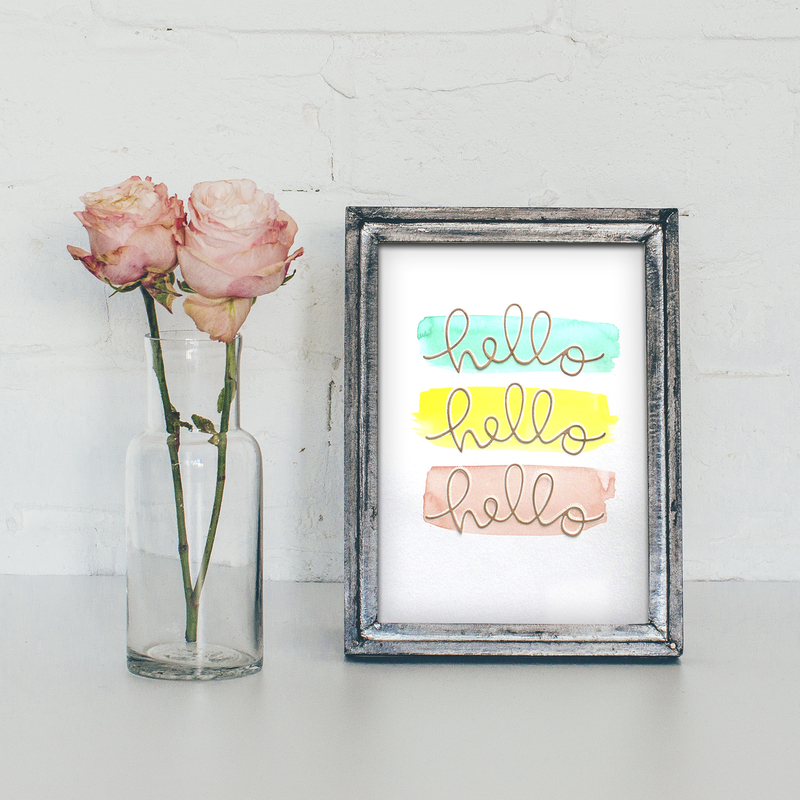 We created a piece of Home Decor and a couple of cards using the Hello Bundle. 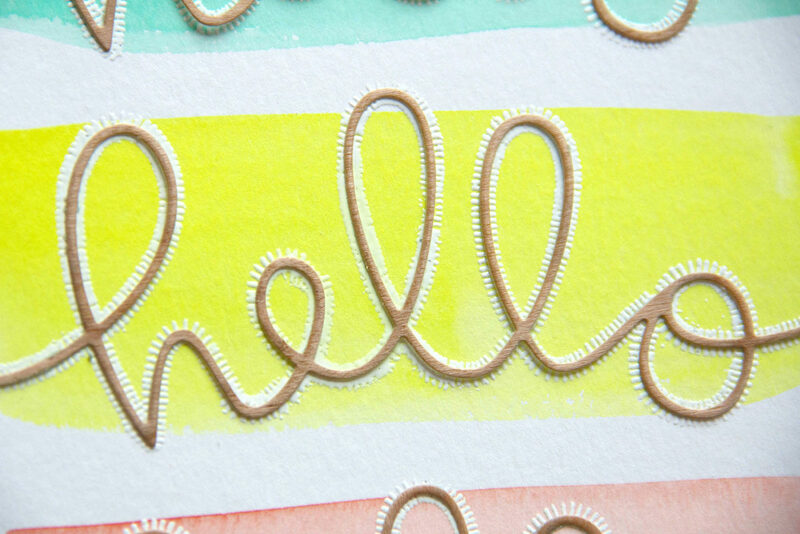 We’ll be sharing a couple more projects using the Love Notes Bundle on Monday. Be sure to stop back. 1. Die cut 3 thin Hello images from Real Cherry Wood paper. 2. Take sheet of 8.5″ x 11″ watercolor paper and paint 3 swashes (each approximately 2″ x 5″). Set aside to dry. 3. 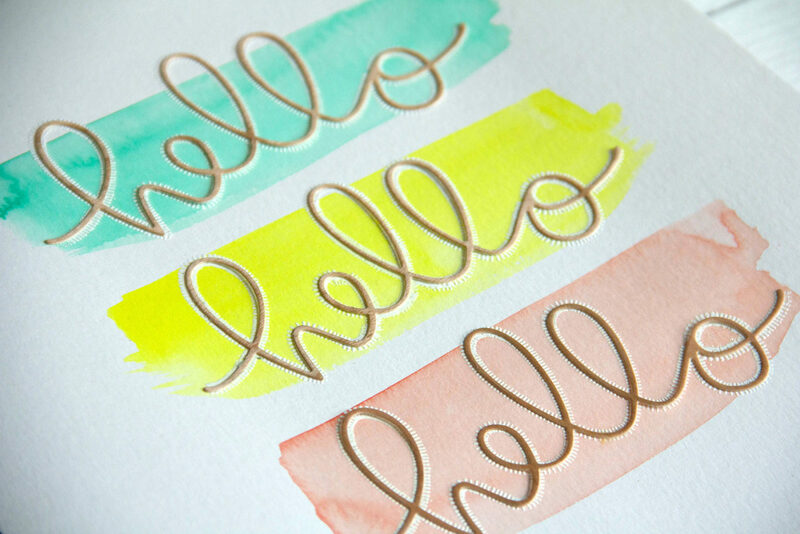 Stamp the Dashed Hello phrase in Versamark ink on each watercolor swash. Heat emboss with white embossing powder. 4. 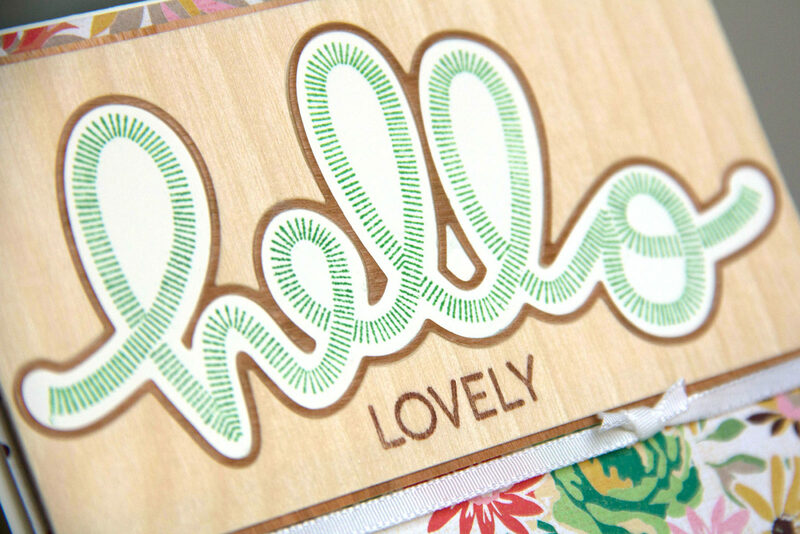 Remove adhesive liner and adhere each Real Cherry Wood Hello on top of each embossed hello image. 1. Cut a piece of white card stock to 4.5″ x 9″. Score and fold in half. 2. Cut a piece of white card stock to 4.25″ x 4.25″. 3. 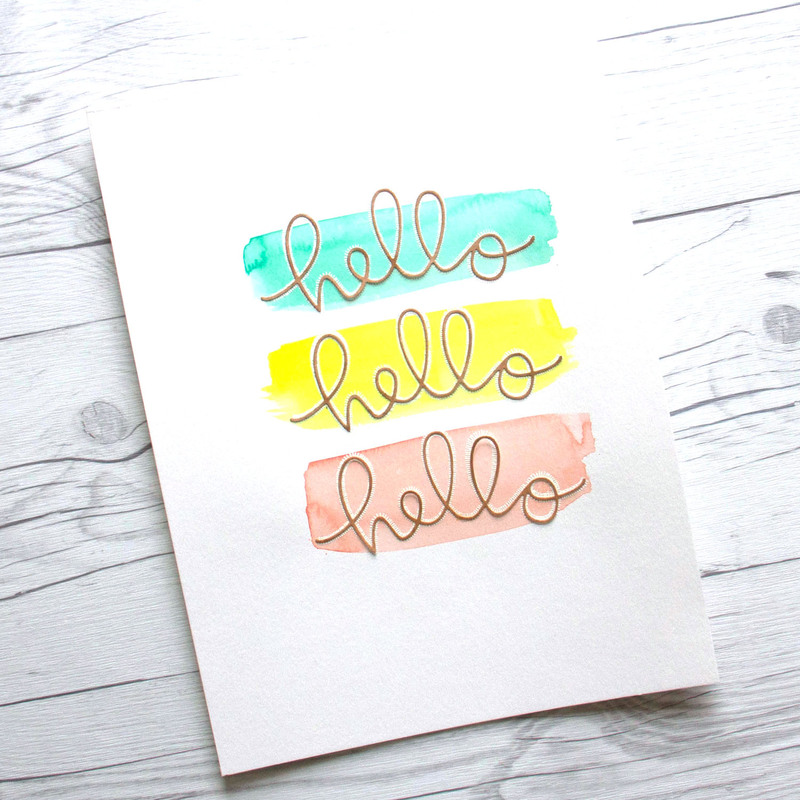 Stamp Dashed Hello image in teal ink on the 4.25″ x 4.25″ white card stock. 4. 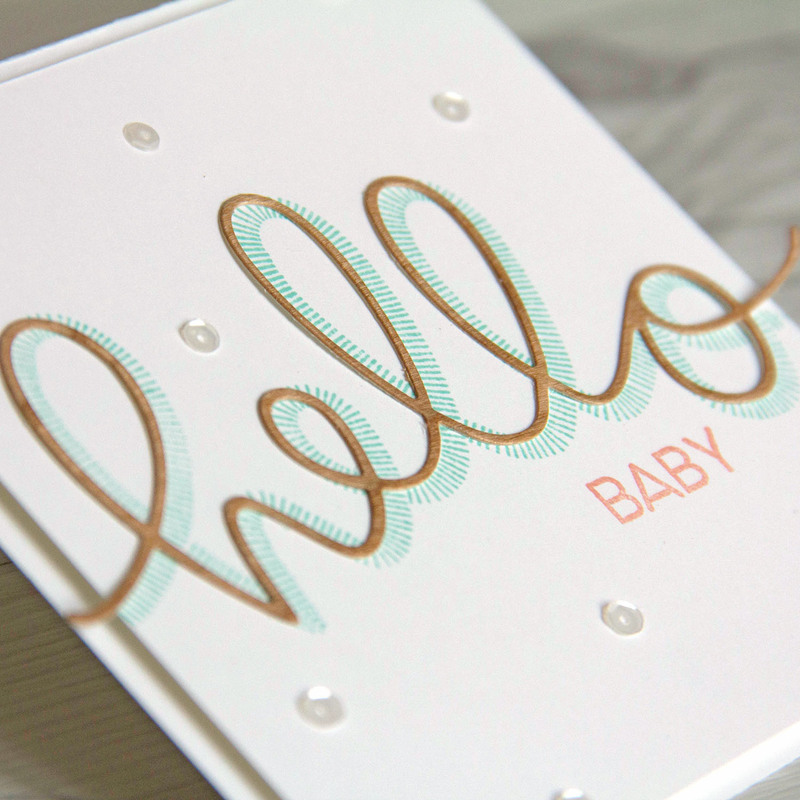 Stamp BABY in pink ink below the Hello. 5. Center and adhere 4.25″ x 4.25″ card stock to card front. 6. Die cut the thin Hello image from a sheet of Real Cherry Wood paper. 7. Remove adhesive liner and adhere the Real Cherry Wood Hello above the teal Dashed Hello image. 8. Pair card with matching 5″ x 5″ Real Cherry Wood Envelope. 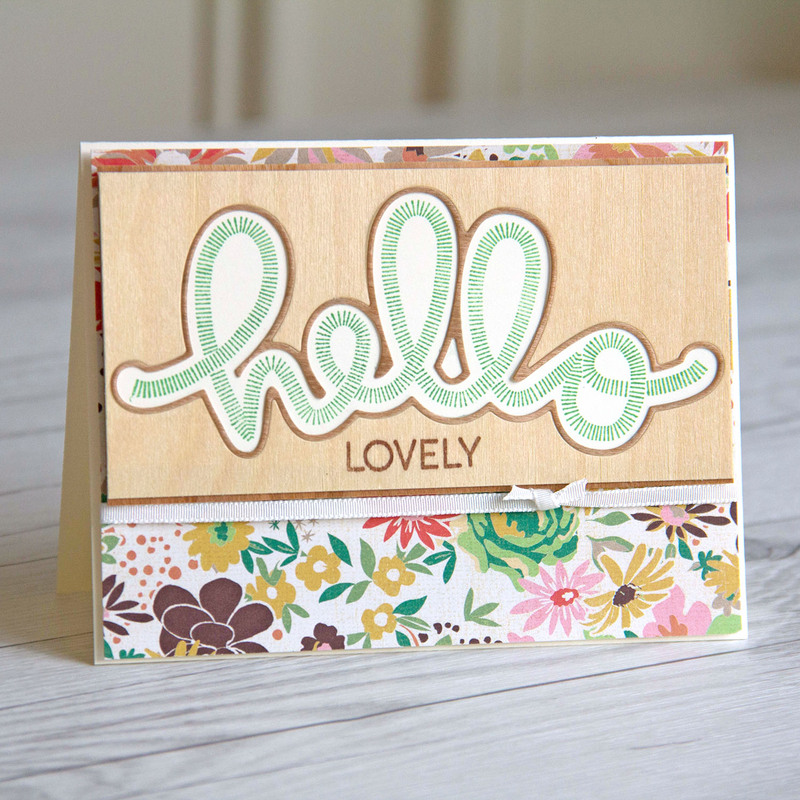 We love the look of this Hello Lovely card. It combines both our Real Birch Wood and Cherry Wood papers using the Hello Die. 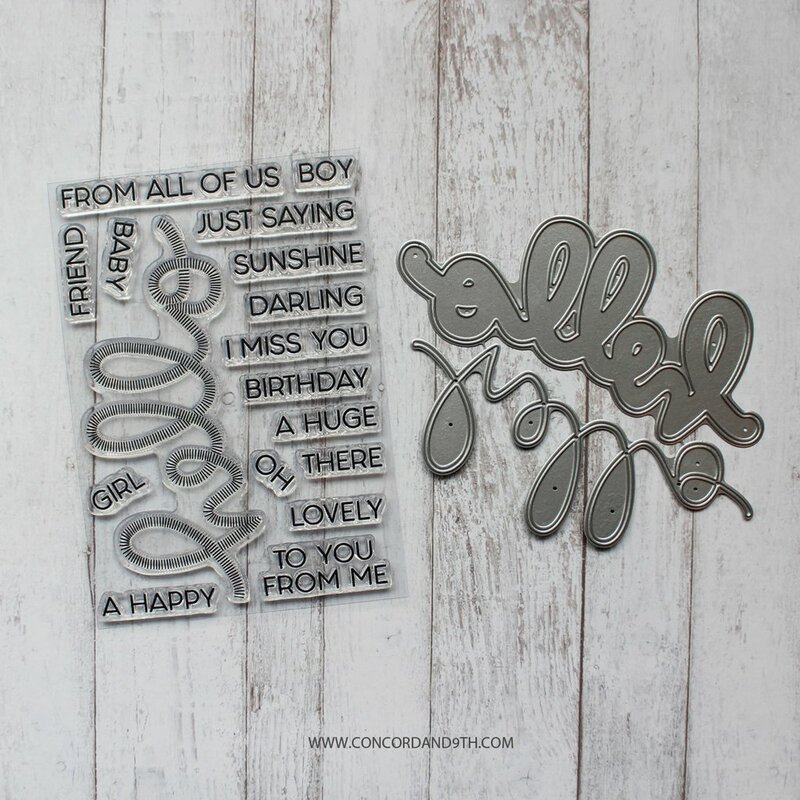 This entry was posted in Card Making, DIY Projects, Home Decor and tagged cards, Concord & 9th, Home Decor.